D L Beck builds bridges. Ranging from the Del Rio Bridge in St. Anthony to the Bear River Bridge west of Preston currently under construction, D L Beck can fill the need and bridge the space. From pioneering, to sub-grade preparation, to excavation, to drainage structures, to borrow placement, to finished base course. Roads constructed the right way, D L Beck gets it done. In building major concrete structures including tall walls, large canal head gates, sidewalk, curbing, and so much more, for your reinforced concrete requirements, D L Beck prepares, forms, and pours the intricate and detailed projects that you require. Bridges and infrastructure projects in partnership with the Idaho Department of Transportation are an important focus to D L Beck. From concrete overlays, to crack injection, to epoxy overlays, D L Beck has the expertise. Installing infrastructure, including pressure and drainage systems, water, sewage, and completing excavation and land preparation for major building such as at the 11 acre plus job site at the BYU-Idaho Livestock Center are just some of D L Beck’s areas of expertise in developing your construction site. Commercial buildings, municipal sewage projects, National Guard and corrections facilities, school facilities, assisted living facilities, religious structures, apartment buildings, and more find D L Beck at the forefront of expertise and quality. D L Beck Inc. was contracted to help reconstruct the new Agricultural Science Center and also add 13 new structures. The facility is primarily used for labs and hands-on learning for the BYU-Idaho Ag/Science department. 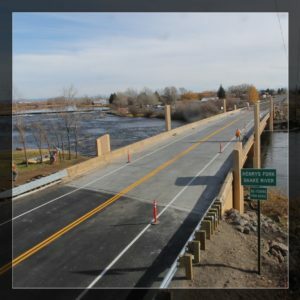 The Idaho Transportation Department (ITD) contracted D L Beck Inc. to replace the 1930s-era, steel truss Del Rio Bridge with a new pre-stressed concrete bridge. D L Beck, Inc. is an ambitious forward looking firm. We work in both the commercial building and civil construction areas. Customarily we have several projects in process in both of these genres of construction at any given time. That means that although we are busy, we are capable and recognized experts in many areas. We have a highly skilled team of personnel from the project management level to the individuals who frame walls and pour and finish concrete. D L Beck, Inc. wants to be the best on whatever project we commit to. D L Beck, Inc. was founded in 2005 by David and Pam Beck. David had worked construction projects as part of his father’s (Robert Beck) business working on projects ranging from locations on the Idaho National Engineering Laboratory to Universities to public and private entities throughout southeast Idaho. When David’s father retired, it didn’t take too long before David and Pam realized that the satisfaction that comes from being able to fulfill customer’s dreams was exhilarating and incredible and they started their business. Our start was small on resources but large on ambition, desire, vision, and hard work. In the more than a decade of being in business D L Beck, Inc. has completed numerous projects for church entities, private individuals and groups, businesses, and government entities. D L Beck, Inc. counts the Idaho Department of Transportation, LDS Church, BYU-Idaho, Idaho State University, and cities such as Rexburg and Idaho Falls among its valued customers. 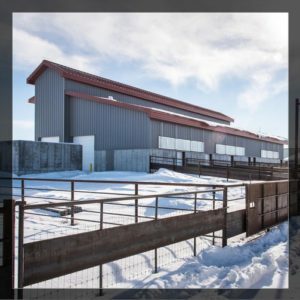 D L Beck, Inc. has completed projects ranging from renovation of the National Guard facility in Rexburg to the Del Rio Bridge over the Henry’s Fork in St. Anthony to the new playfield at BYU-Idaho to the Fongs Restaurant in St. Anthony to the new Henry’s Lake campground among numerous others. D L Beck, Inc. is excited to be a resource for you to bring your dreams to reality. If you have a vision and want to do it D L Beck, Inc. can help you make it happen. We’re excited and ready to get going. Give us a call today. Let’s do it. D L Beck Inc. 2018 Designed by MageeWP Themes.